There are so many interesting video clips on YouTube.com, and we want them all! But how to quickly download those videos at one time? Here we'd like to introduce you a FREE YouTube video downloader application that can help you download multiple YouTube videos simutaneously in just a few clicks - ImTOO Download YouTube Video. Step 1. Download and install. Download the ImTOO Download YouTube Video, install and launch it. 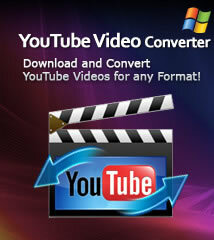 Mac users please download the ImTOO YouTube Downloader for Mac. Click "Browse videos" button on the toolbar or check "Browser..." option in the Tools menu to open the YouTube Video Browser window. Search and find the video you want to download. Drag and drop it into the main window. Repeat this step to drag and drop all videos you need. All videos will appear in the software main window. Click "Start All" button on the toolbar to start downloading all the YouTube videos in the list simutaneously. How to extract audio from YouTube? How to free download music videos from YouTube.com? 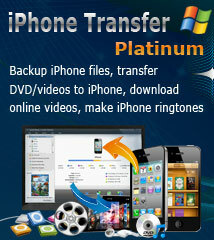 How to put movies on iPhone 4S, iPhone 4?